Do you love a good Twitter Party? You know we do, and we’re excited to host a party about last minute holiday shopping and how a Walmart Family Mobile phone and starter kit would make a great gift. 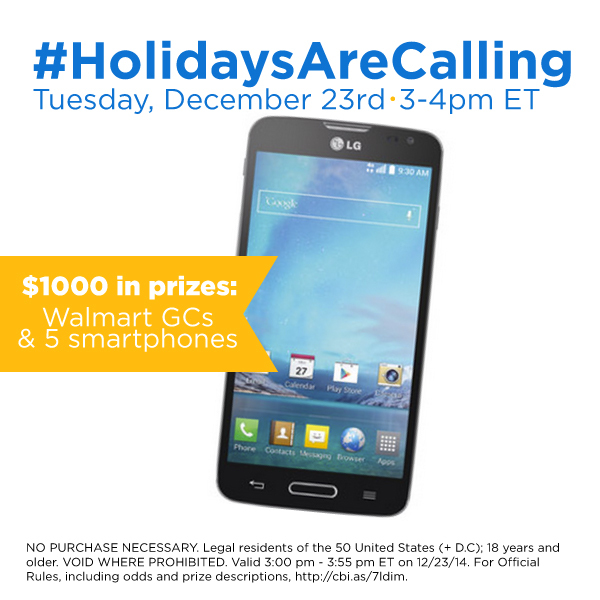 Please join us on Tuesday, December 23, 2014 at 3:00pm EST for the #HolidaysAreCalling Twitter Party where we’ll chat about shopping for a new phone and how the Walmart Best Plans make gift giving even easier. When the holiday season comes around, I love to catch up with family and friends. Unlimited Talk Text and Data allows me to spend all the time I want talking on the phone, without worrying about receiving a big surprise phone bill. Lowest Priced Unlimited Plans make it so easy to stay in touch with the people you care about. And if someone on your holiday shopping list wants a new phone and plan, they make wonderful gifts. I hope you’ll join me for the #HolidaysAreCalling Twitter Party as we chat about this great holiday gift idea! Join me and RSVP for the #HolidaysAreCalling Twitter Party on SoFabChats! NO PURCHASE NECESSARY. 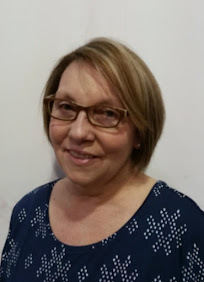 Legal residents of the 50 United States (+ D.C); 18 years and older. VOID WHERE PROHIBITED. Valid 3:00 pm – 3:55 pm ET on 12/23/14. For Official Rules, including odds and prize descriptions, http://cbi.as/7ldim. Find details for Lumia 520: http://cbi.as/as3-k, Evolve 2: http://cbi.as/b7i5u, Galaxy Exhibit: http://cbi.as/f44ao, LG L90: http://cbi.as/a2qdl, FIERCE 2: http://cbi.as/iog2m, and Walmart Gift Card details here: http://cbi.as/osr4i. 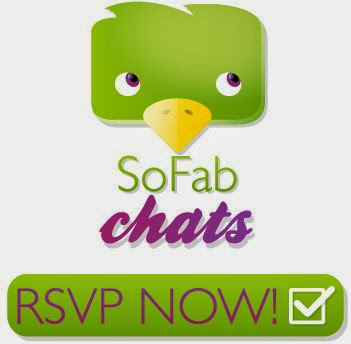 How To Participate In A Twitter Party on SoFabChats! TIP: How to join a Twitter Party – sign in! Before party starts, click on the green “Sign In On Twitter” bar at the top of the page! TIP: Who to follow at a Twitter Party? Follow the Party Team by clicking on the Twitter handle links on the RSVP page! 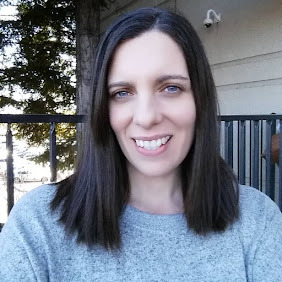 TIP: Want to win Twitter Party prizes? RSVP by clicking on RSVP button before you join the party, follow everyone on the Party Team, and tweet with the party hashtag during the party to be eligible! TIP: How to win the Early Bird prize? Watch for chance to share a tweet when you RSVP for chance to win! TIP: Special deals and brand coupons? Keep that option checked when you RSVP for the party! TIP: New to Twitter parties? Watch your column and Party Team tweet columns – they are slower paced and easier to follow! TIP: Where to find Twitter Parties? Check out the SoFabChatsTwitter Party Calendarto find more fun parties to attend! Find more helpful Twitter Party Tips on SoFabChats!